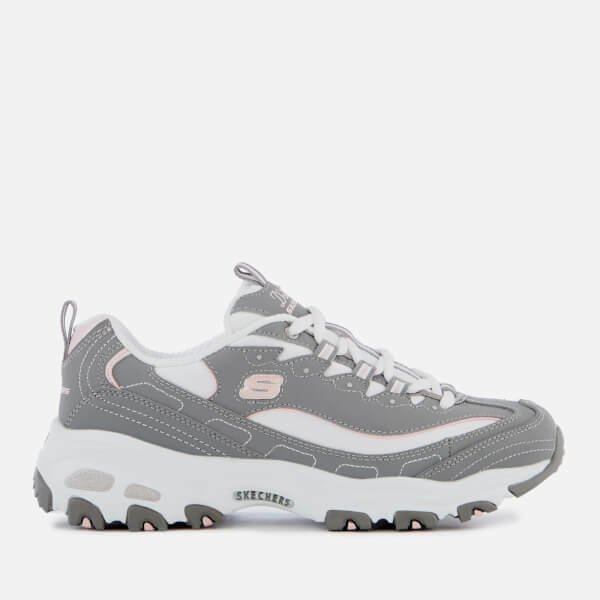 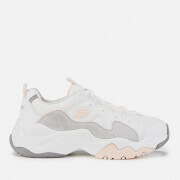 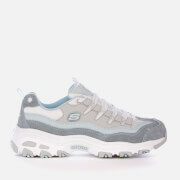 Skechers ‘D’Lites Biggest Fan’ trainers with a chunky, ‘90s-inspired silhouette. 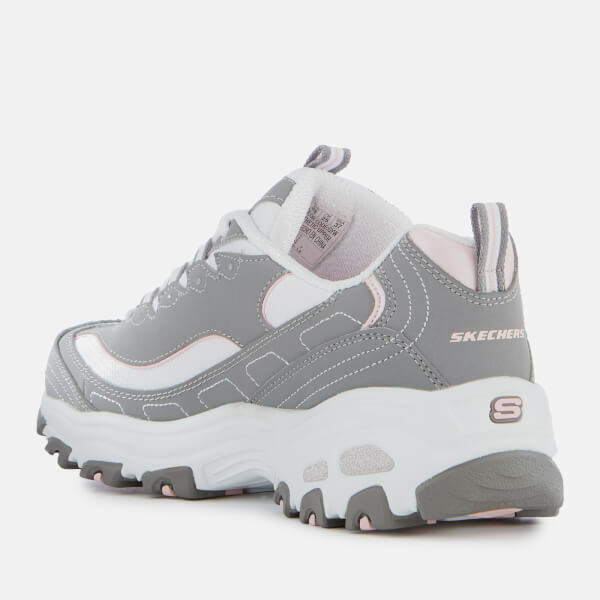 The sporty sneakers have smooth grey trubuck leather uppers with mesh overlays to keep your feet cool and sparkling glitter details. 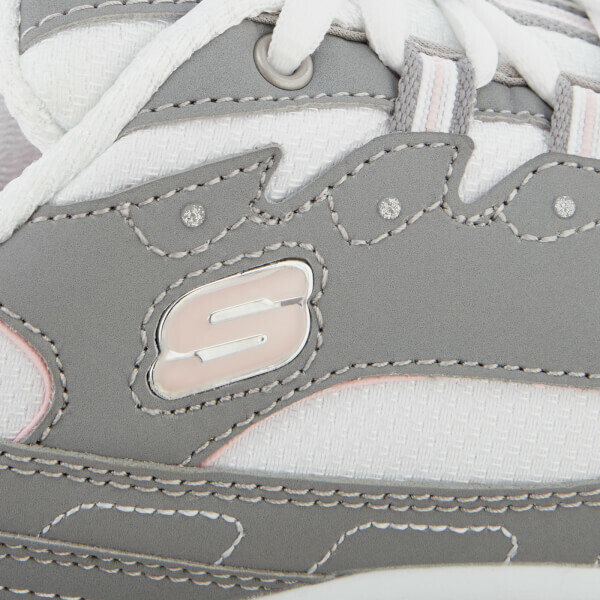 A lightweight shock absorbing midsole offers increased support and a rubber outsole improves traction. 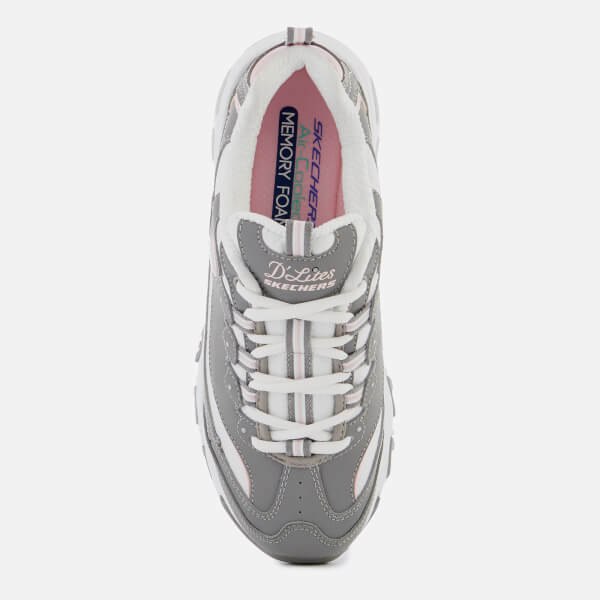 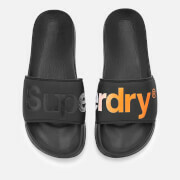 The trainers feature a memory foam insole and a padded collar and tongue for cushioned comfort. 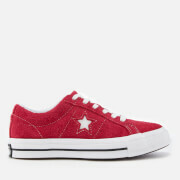 Finished with a signature ‘S’ logo on the vamp, a branded tongue and pull loops on the heel and tongue.